The U&CF Grant Program funds projects which lead to a more effective and efficient management of urban and community forests, and improve public understanding of the benefits of preserving existing tree cover in communities. Goal: To enhance the benefits and sustainable management of urban forests. Reduce the impacts of land-use change and urbanization on forested landscapes in and around urban areas. Facilitate strategic planting and maintenance of community trees for public benefits. 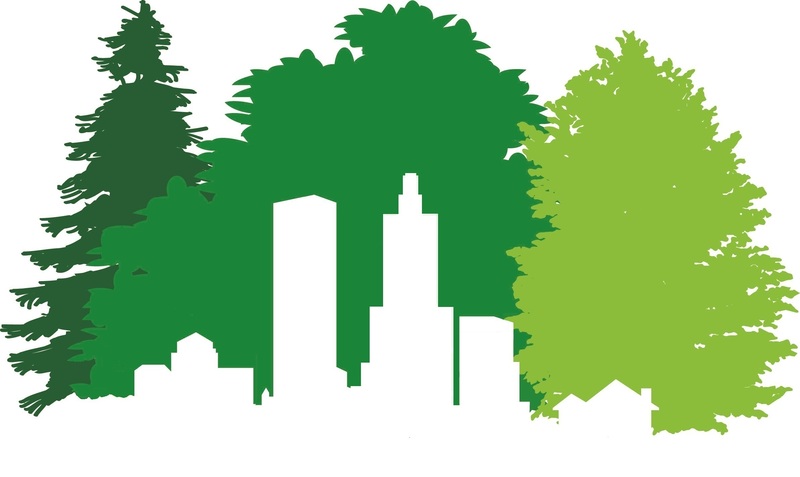 Assist communities with establishing and managing their urban forests. Encourage policies and guidelines that sustain urban and community forests for the public's benefit. Partnerships between groups or other organizations are encouraged. How is the grant administered? Grants are awarded on an annual basis through the USDA Forest Service and are administered by the NC Forest Service U&CF Program. The grant provides 50% of the project costs, and requires matching funds or in-kind efforts, to encourage citizen involvement in creating and sustaining urban and community forestry programs. First-time municipal applicants and municipalities seeking Tree City USA status are given priority for funding. What can the grant funds can be used for? Funding is not available for entertainment, food and beverages, computers, tree maintenance, or construction and landscape supplies/equipment. The grant cycle opens January 1 of each year. Grant workshops are offered in January. Attendance is required. Grant applications/proposals are due the end of March each year. Grant awards are determined and the recipients notified early to mid-July. Grant projects begin September 1 and must be completed by July 31 the following year. Grant requests can range from $2,500 to $15,000. Funding will not be provided for entertainment, food and beverages, computers, tree maintenance, or construction and landscape supplies/equipment. How are the grant funds distributed and how is the other 50% of the grant costs met? Grant costs, as itemized in the project budget, are paid on a reimbursement basis only. The U&CF Grant Program funds must be matched equally (dollar for dollar) with non-federal funds. Documentation of all matching support must be maintained and submitted with reimbursement. A match can be in the form of cash purchase or in-kind contributions, all from non-federal sources. A match cannot be met by cash purchase or in-kind contribution for entertainment, food and beverages, computers, tree maintenance, or construction and landscape supplies/equipment. The Urban & Community Forestry Grant is not about planting trees. In fact, grant applications for the sole purpose of tree planting or beautification are discouraged. Tree planting should happen within a larger project which is aimed at promoting and enhancing the tree population already present in the community. Communities, interest groups, etc. may apply for grants yearly, although when funding is limited and project merits are solid, a first-time applicant may be selected before a repeat applicant. Repeat applicants should submit projects that are wholly new or that build upon previous grants projects and demonstrate a progression towards a self-sustaining urban forestry program. Grant funding is not meant to replace funding for current programs, such as planting, maintenance or staffing. Consider your project in terms of how it fits with the NCFS goal of enhancing the benefits and sustainable management of urban forests. How does the project fit into the present approach to urban forestry in your community? What are the long term effects, and is there a commitment within the community/organization to maintain the project goals? Is it the right time for the project? Will it be used to its full potential now or in the very near future? And, finally, if you have questions about any of these points and how your project idea fits, you can contact U&CF Branch Head Andrew G. Pleninger .